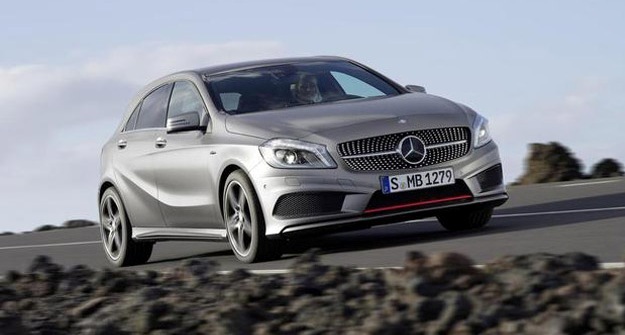 The new Mercedes A Class benefits from its re-design, pushing Mercedes firmly into the premium hatchback market. Transformed from its former mini-mpv image, the sleek new A Class is one of the classiest looking hatchbacks out there. The new design incorporates rising swage lines and a wider “sport” grille along with . What’s more, the new A Class boasts an incredibly sized sunroof, perfect for bathing the car in glistening sunlight. The interior of the car is equally impressive, with all the luxury trim and leather that you would expect of a Mercedes. It’s boot too boasts a bigger capacity than its key rival, the 1-Series. Driving the A Class is an exercise in comfort and luxury, with wind and road noise all but wiped out completely thanks to the cars immaculate build. Bumps and deviations in the road fail to cause a stir as the A class seems to glide effortlessly over the road surface, offering an incredibly smooth and comfortable ride at all times. Handling is sharp too, and the engine packs plenty of punch making this A Class an extremely enjoyable car to drive. There are a range of trims available, and all models of the A Class offer you good fuel efficiency and low emissions, making this a very economical car to run. All in all, the new A Class sees Mercedes seriously stepping into the premium hatchback market, with a car that excels in luxury while offering strong performance and money-saving fuel efficiency and low CO2 emissions. View all our Mercedes short term car leases here.